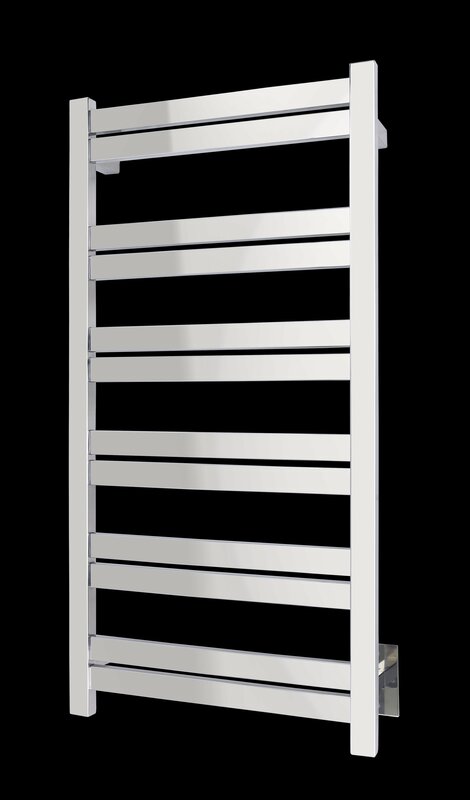 The Grande 12 towel warmer from WarmlyYours is a stunning model designed with an emphasis on both form and function. 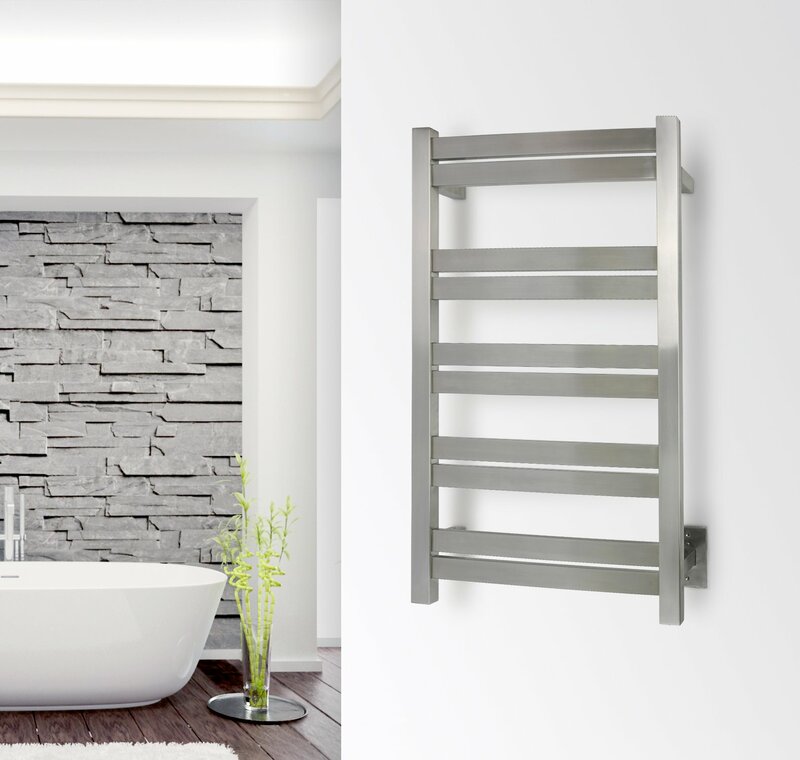 With its 12 heated, flat bars and high heat output of 597 BTUs per hour, this model is one of the most powerful electric towel warmers for its size. The flat bars of the Grande 12 provide a large amount of heating surface to help warm and dry your towels and bathrobes. This wall-mounted model features a discrete power switch and a hardwired electrical connection (110 – 120 VAC). The 304-stainless steel construction and highly polished finish make the Grande 12 a beautiful and durable addition to any project. This model comes with built-in TempSmart™ overheat protection to prevent the unit’s surface temperature from exceeding 149°F (65°C).